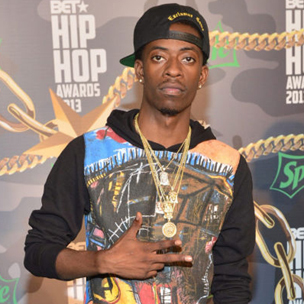 Rich Homie Quan was involved in a scuffle during the Adrien Broner, Emanuel Taylor-headlined boxing event that took place over the weekend, according to several outlets. Video of the fight allegedly involved Quan has been released via WorldstarHipHop. Quan was there to accompany Adrien Broner to the ring along with Young Thug and Birdman. The trio walked to the ring with Broner to the tune of “Lifestyle,” as reported yesterday (September 7). The scuffle was reported yesterday also, but video of the punches being thrown was not seen at press time. Now, the video of the altercation allegedly involving Quan has been released. It is below. For more on the Broner, Taylor fight, click here.